A view of Uranus from the Voyager 2 spacecraft. Uranus was the first planet discovered in modern times. It was discovered by William Herschel in 1781. Uranus is the planet tilted on its side. 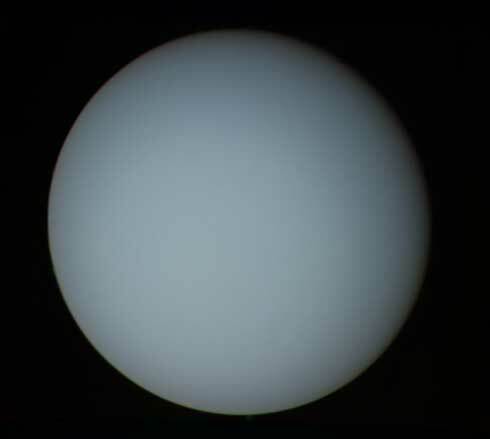 Uranus' color is a consequence of the methane in its atmosphere. Voyager 2 is the only spacecraft to have visited Uranus, which it flew past in January 1986.